The campaign for a #HealthyRochester has been a huge success so far–we have raised more money than any other candidate, reached more doors with volunteers and literature, and earned endorsements from key individuals and institutions around Rochester. We need to have a strong Get Out The Vote (GOTV) weekend to cross the finish line! Please join us at our PreVote Party on Friday 9/8 at 28 E. Main Street at 5:30. See details, RSVP, and invite your friends on Facebook. It's a celebration of all we have accomplished together. Enjoy some food, drink, and breathtaking views of Rochester. 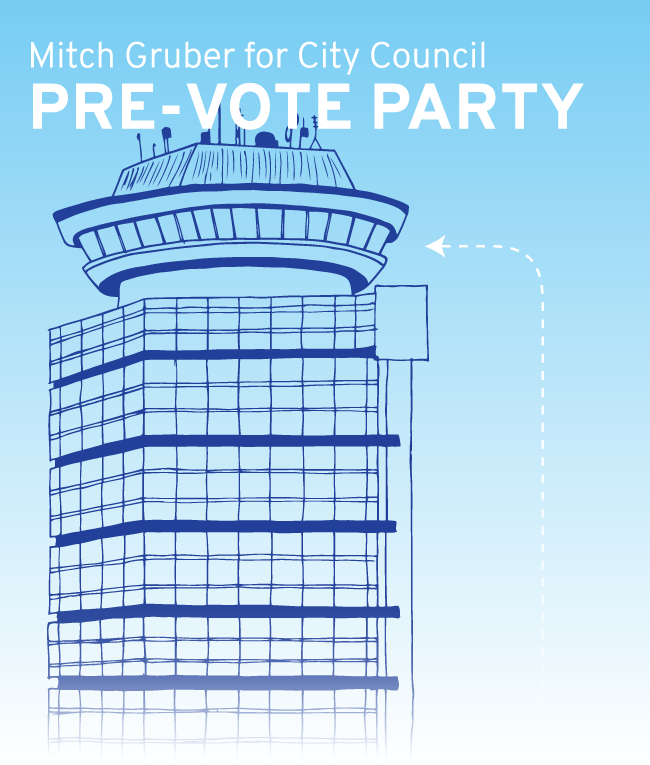 Bring the names and addresses of 5-10 City Democrats to send them a postcard that encourages them to vote for Mitch. We will provide the postcards and the postage. Please consider signing up for a 2-hour shift over the weekend, helping us reach our targeted voters one more time either by phone or dropping off literature. With a strong GOTV effort, we are confident that Mitch can win the Primary on Sept 12th and start to build the #HealthyRochester we all want to see. Thank you for all you're doing to support this effort!